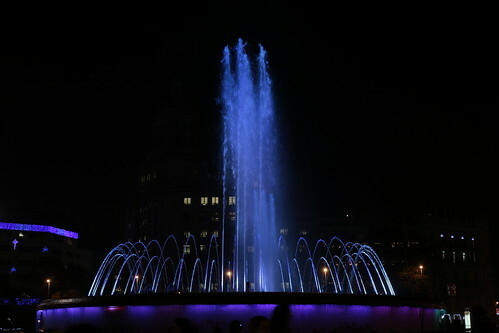 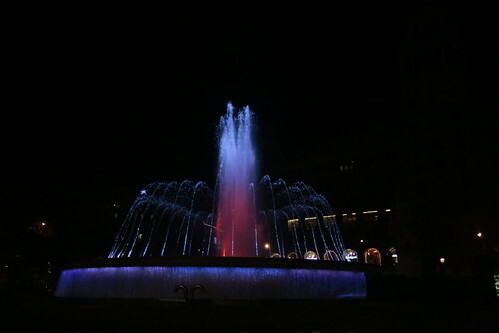 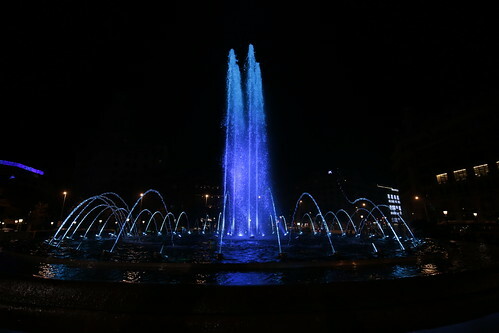 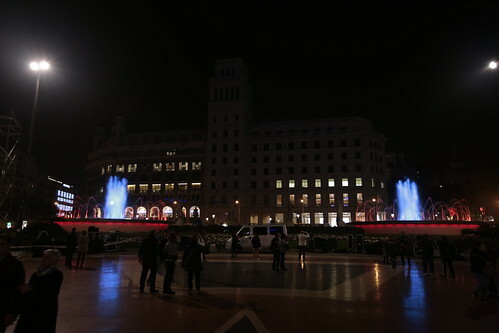 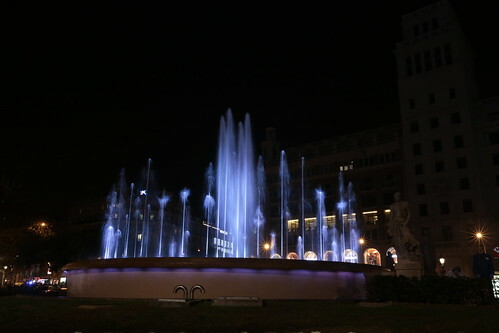 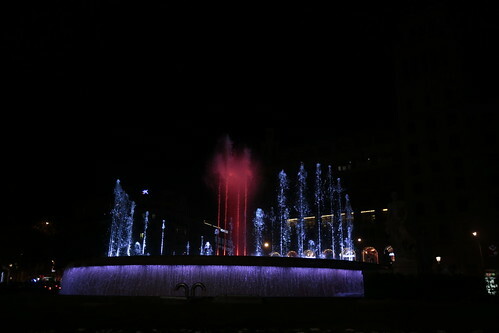 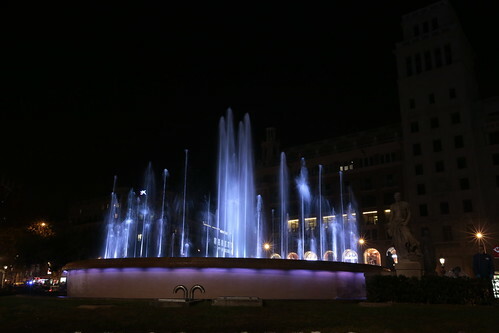 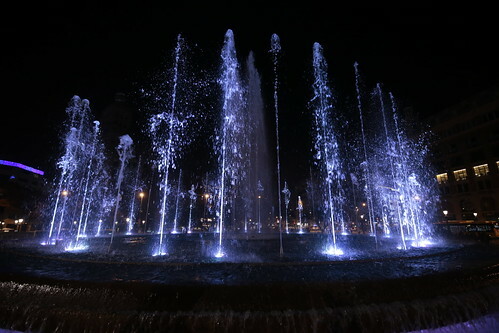 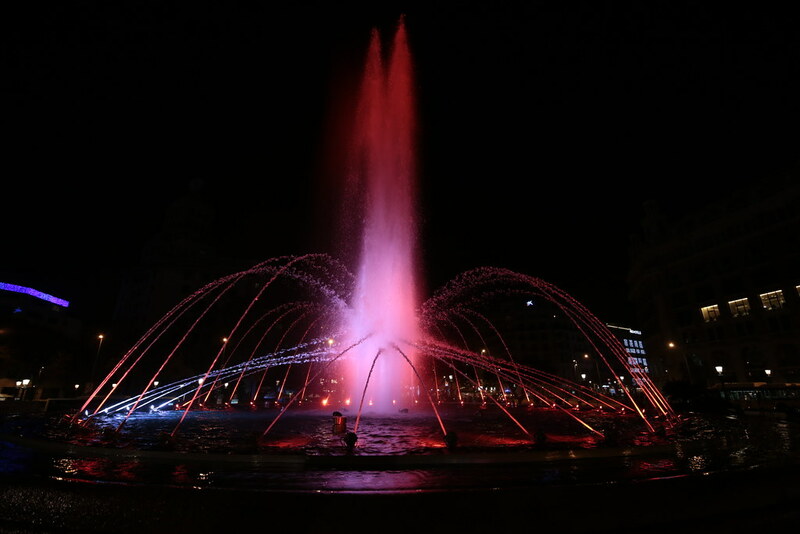 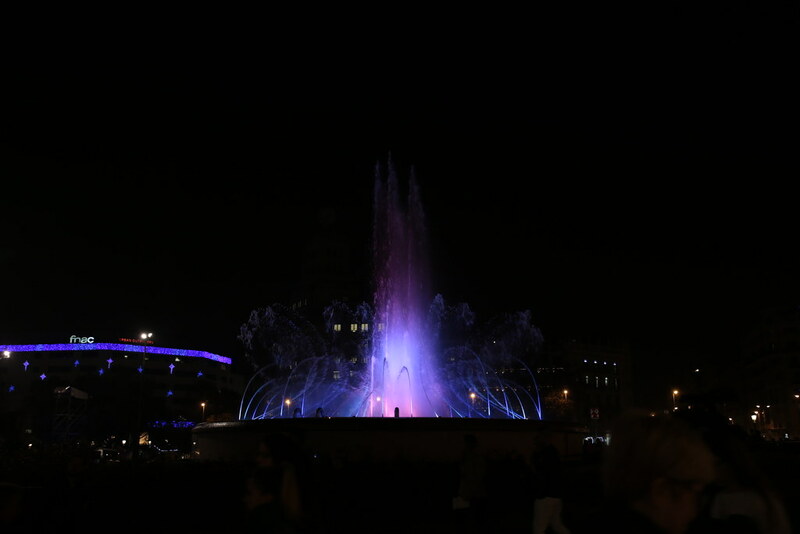 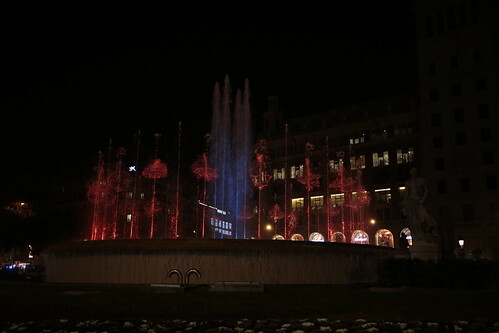 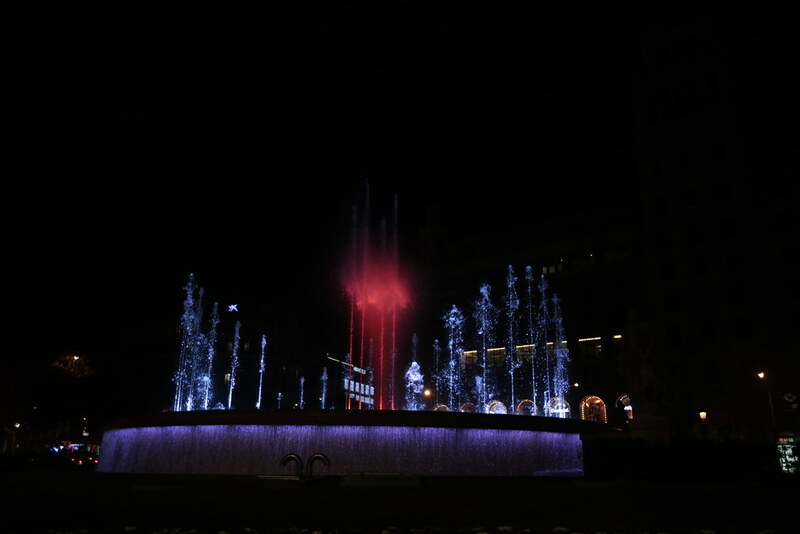 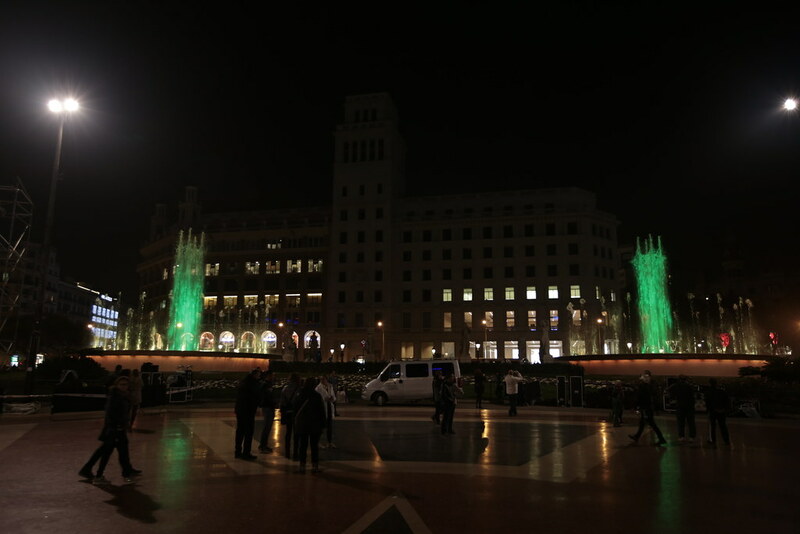 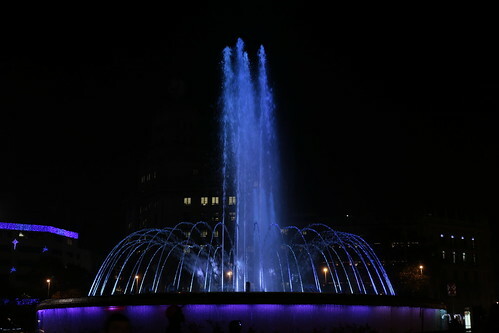 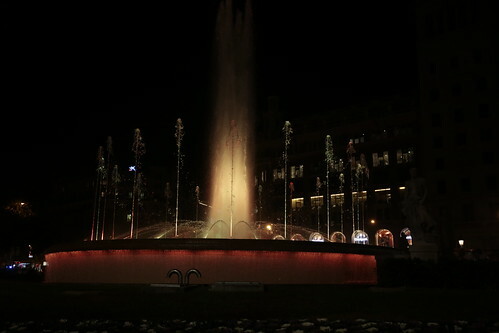 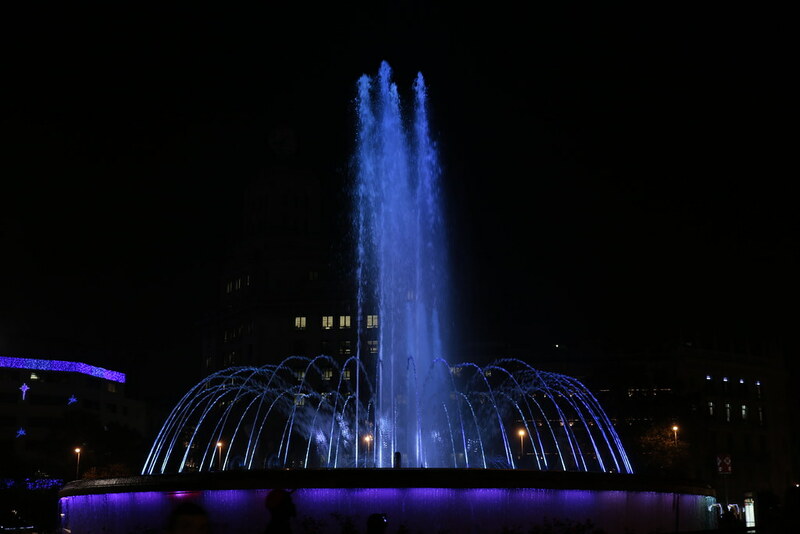 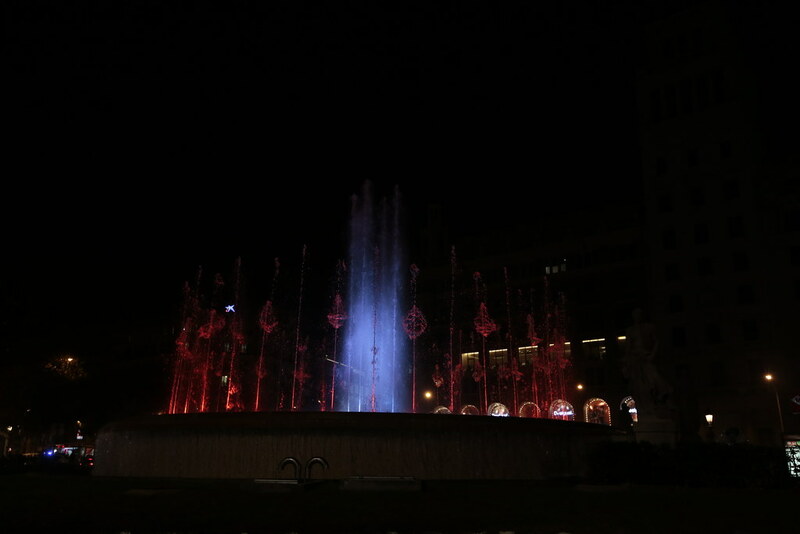 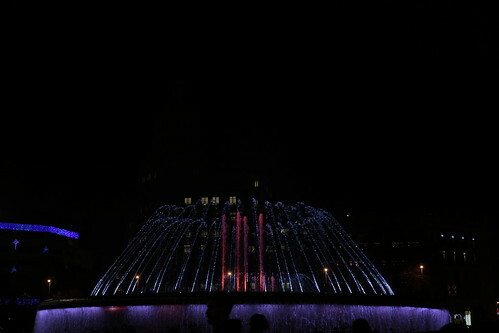 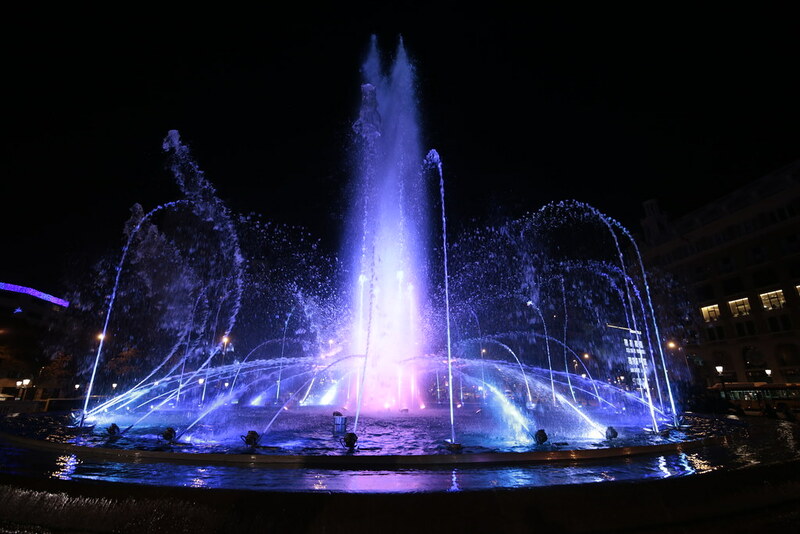 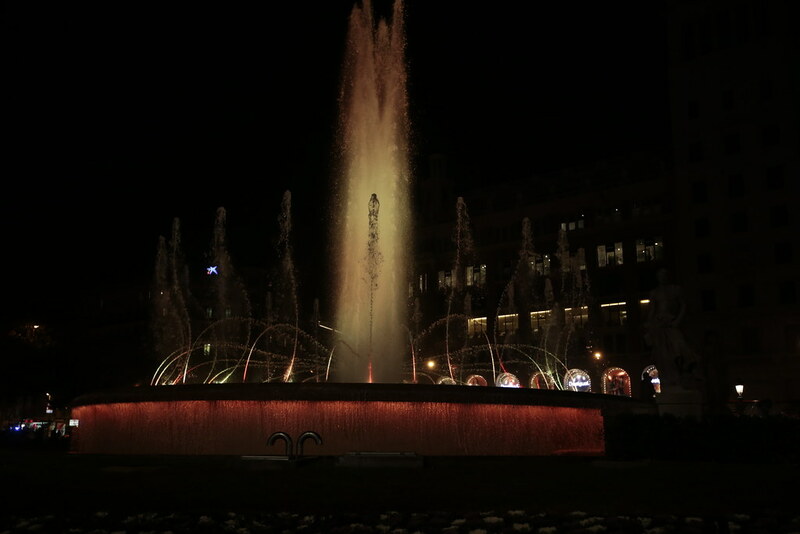 Light, water and sound show commissioned by the Barcelona council for the 2015 christmas holidays. 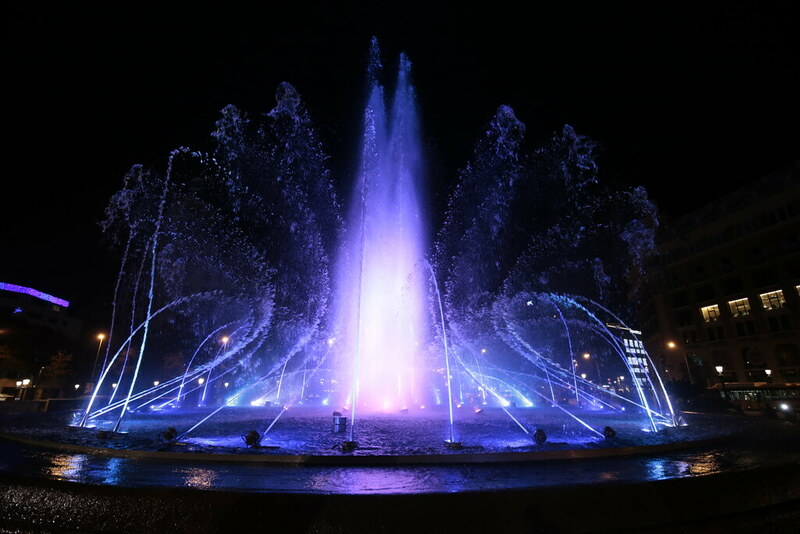 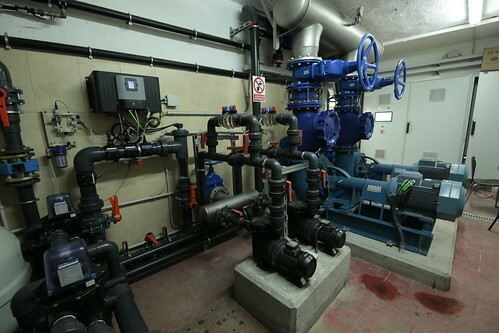 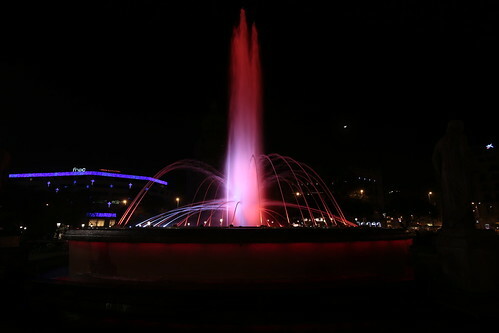 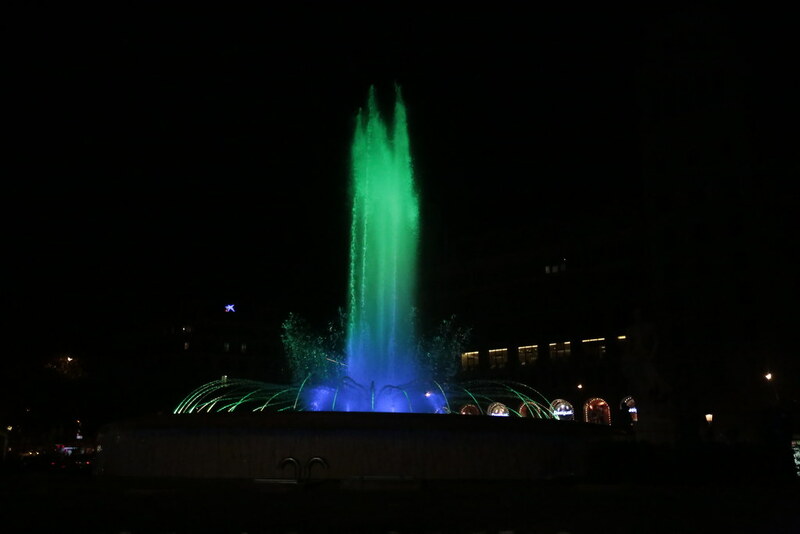 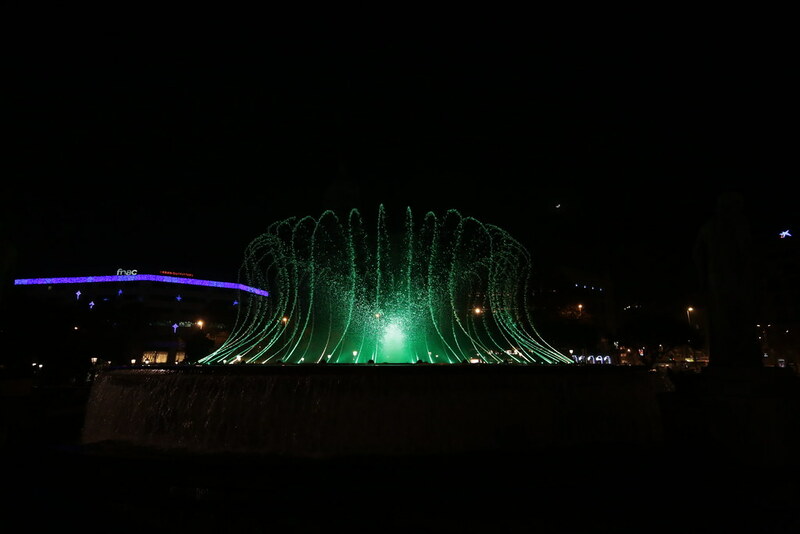 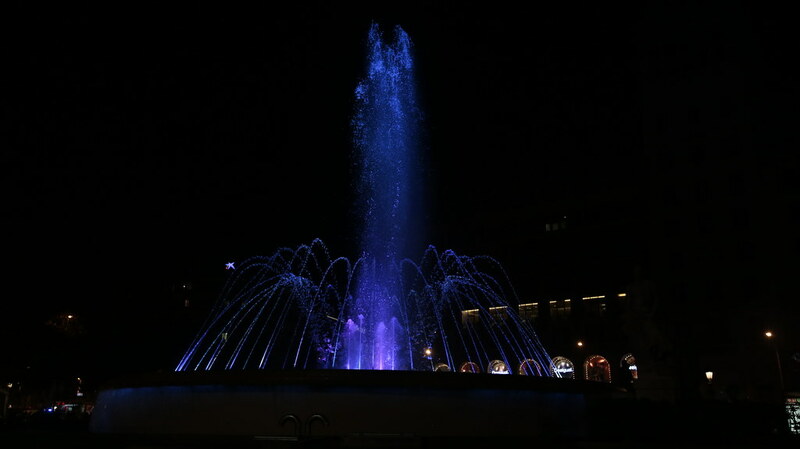 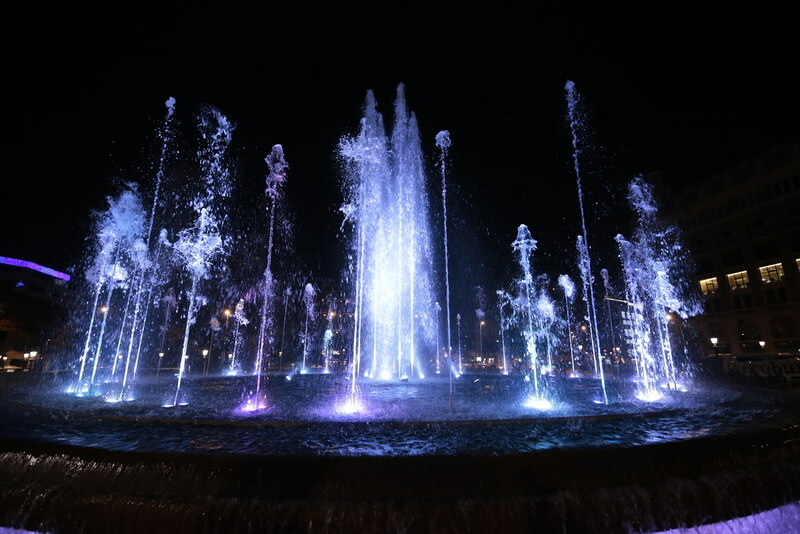 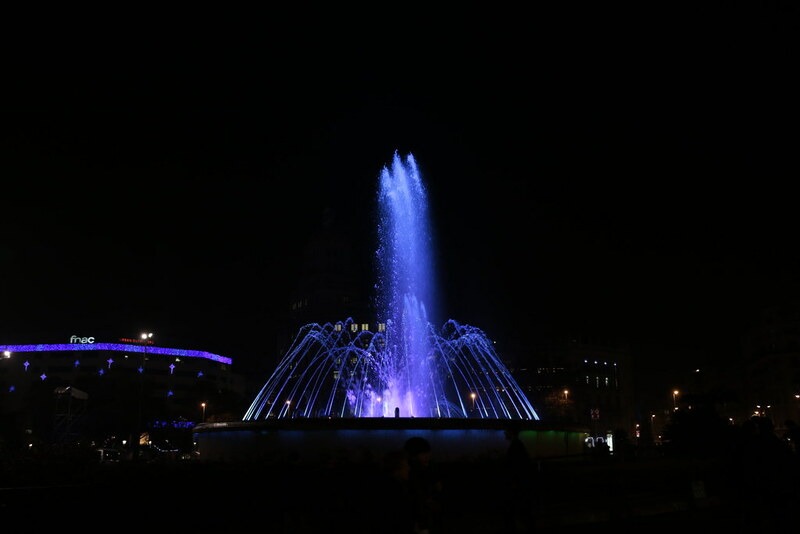 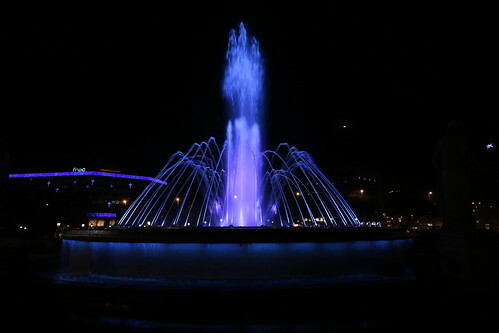 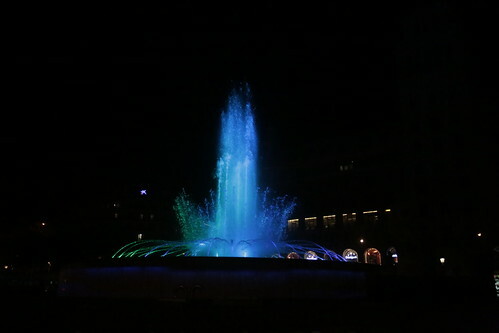 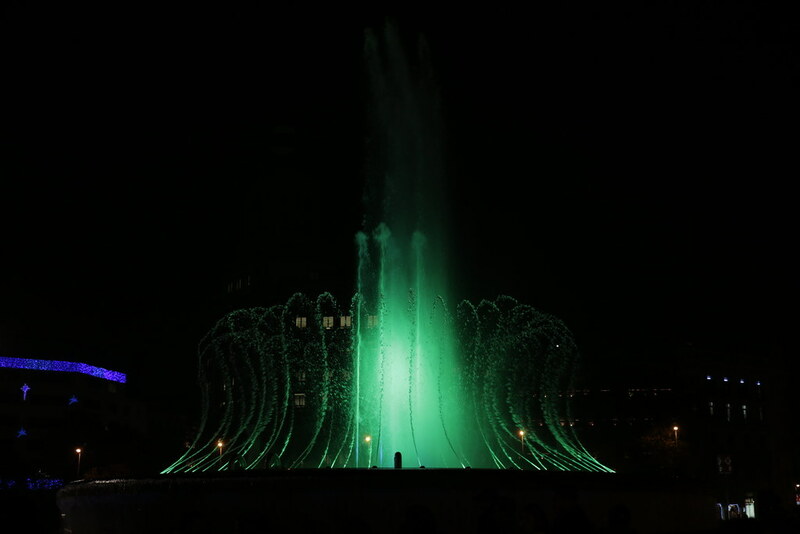 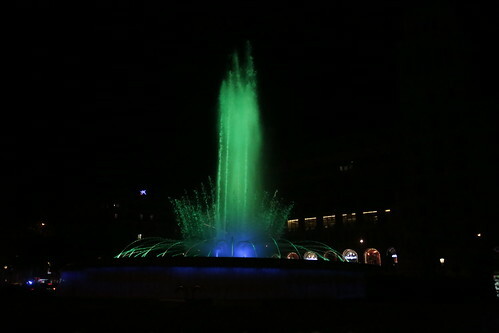 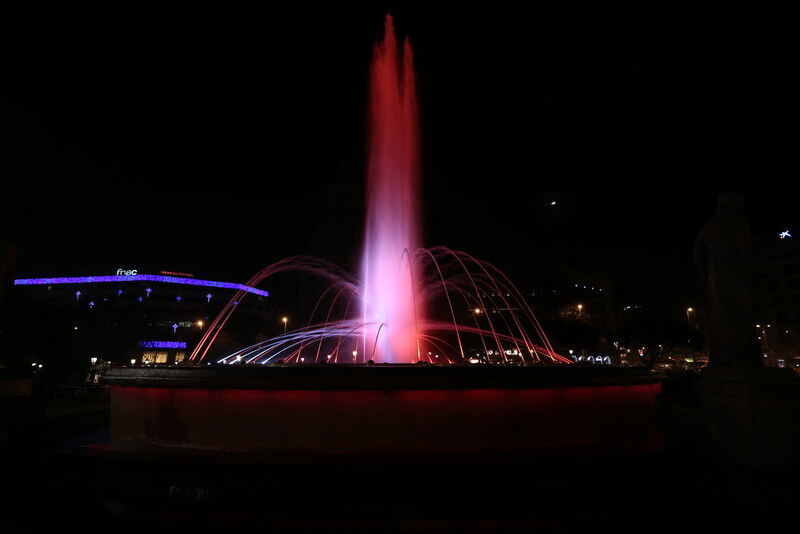 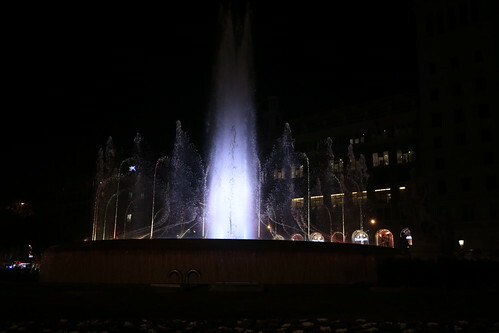 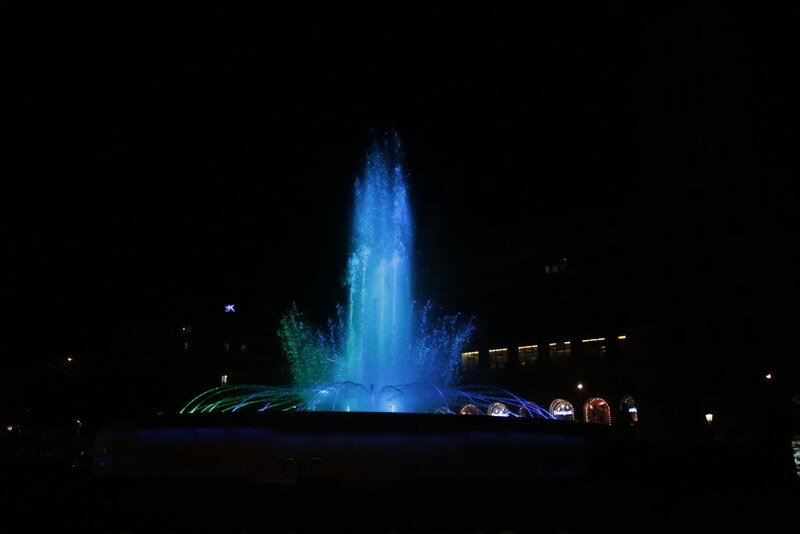 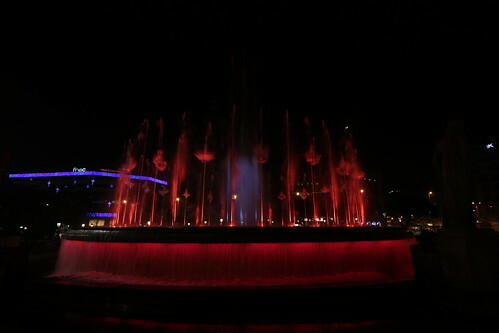 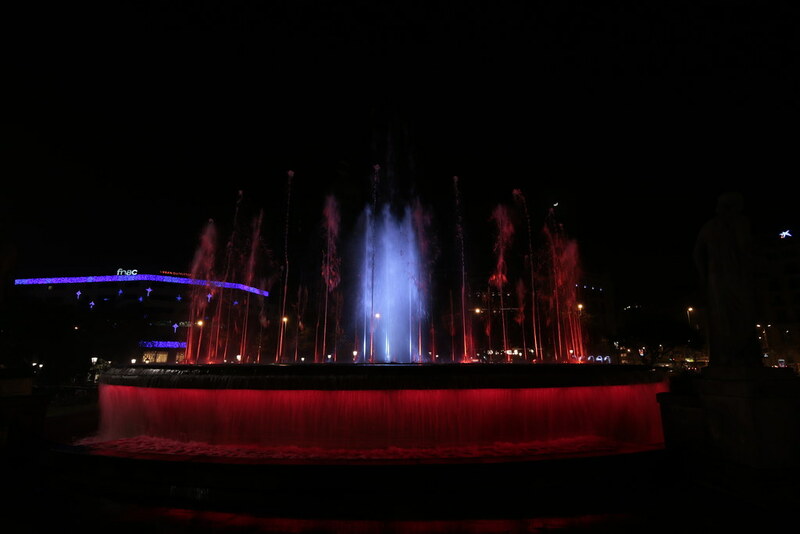 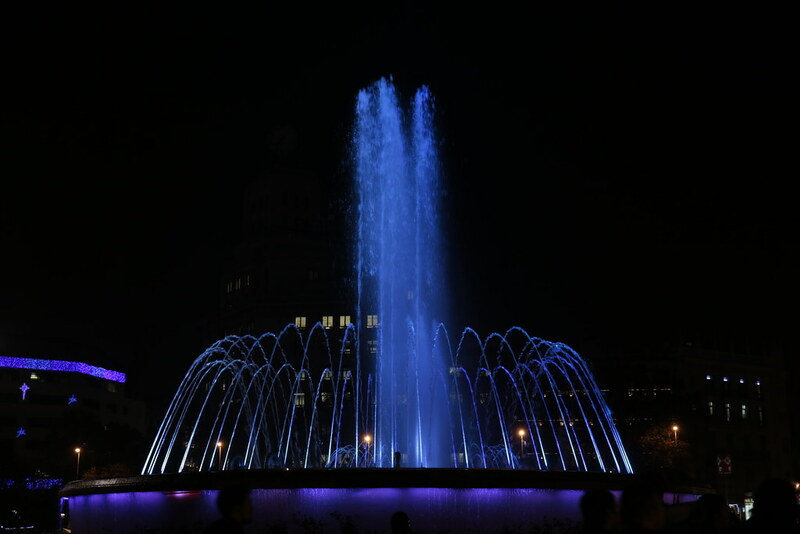 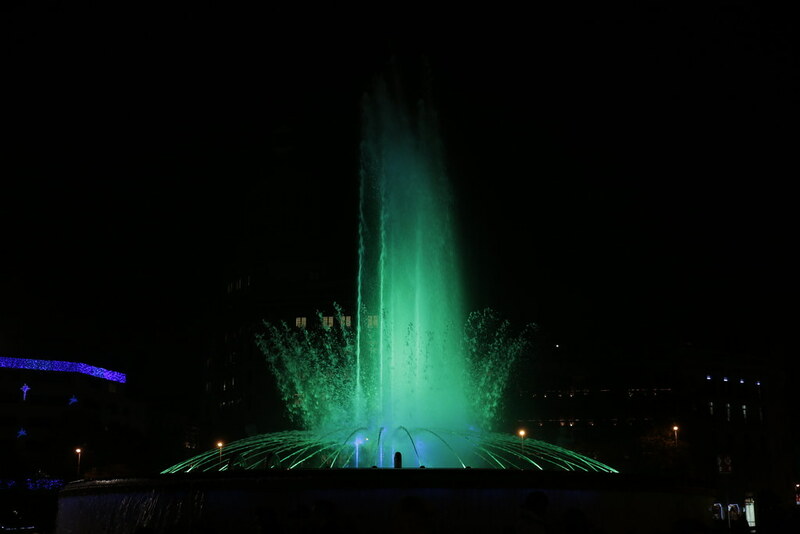 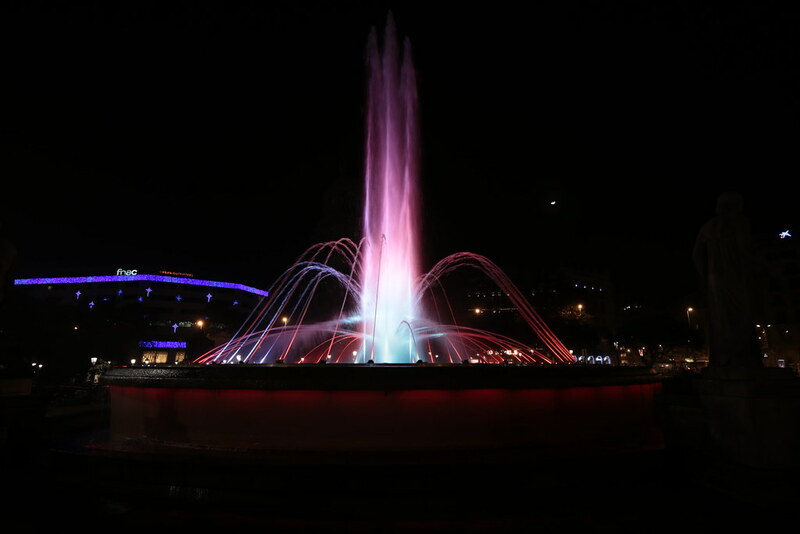 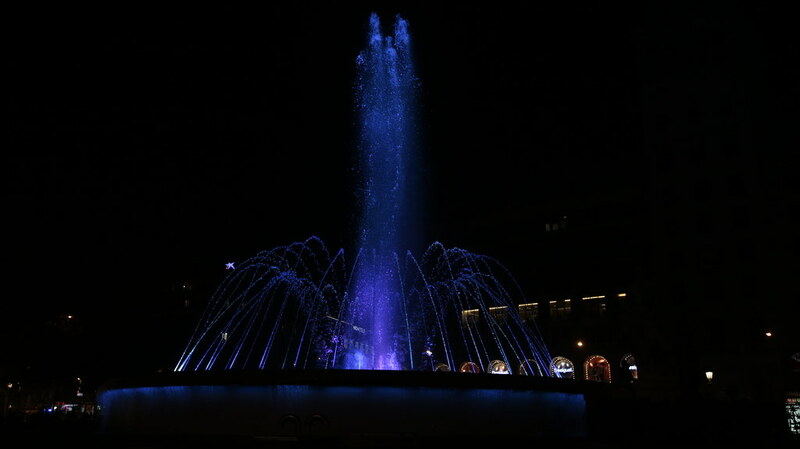 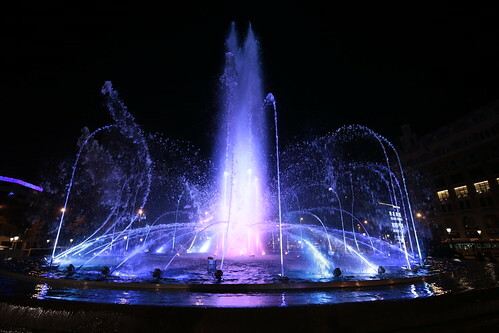 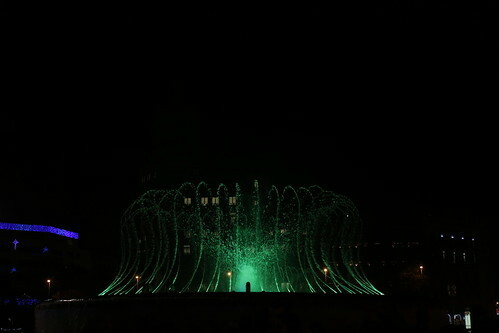 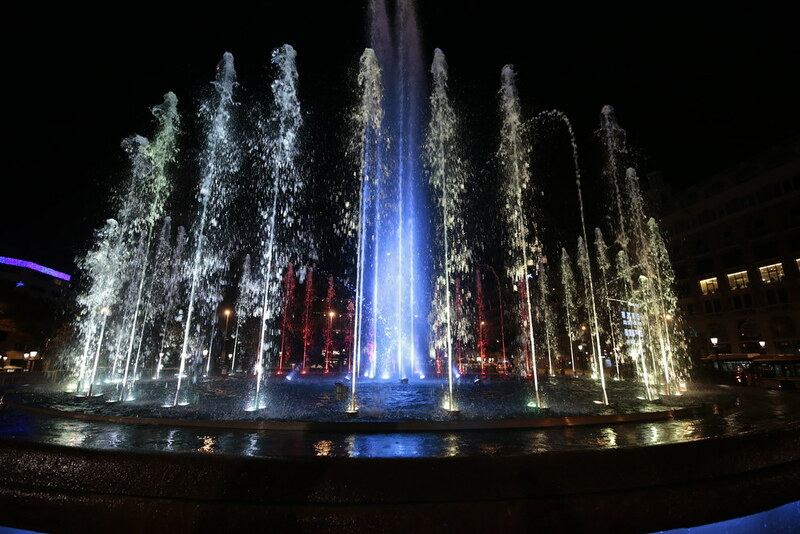 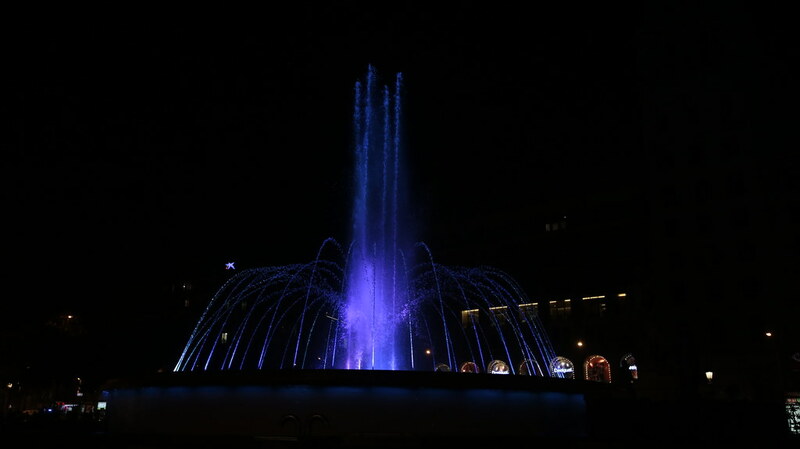 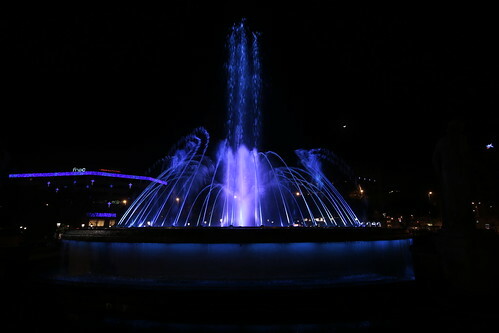 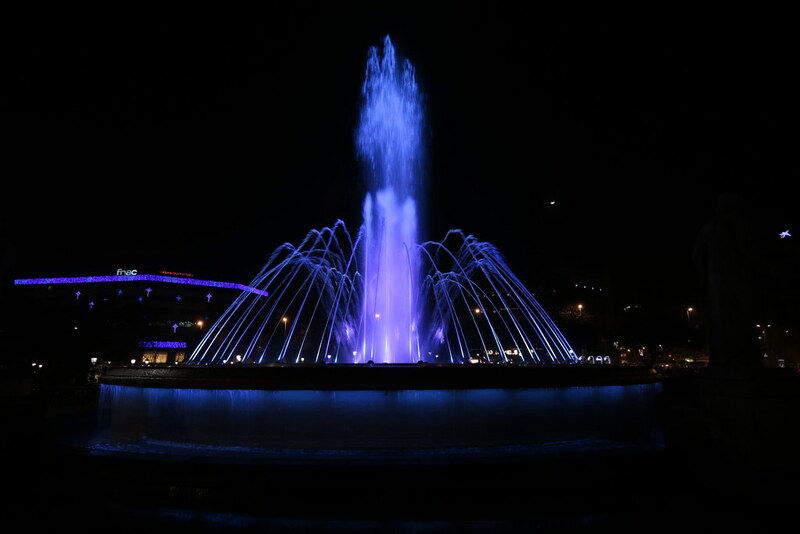 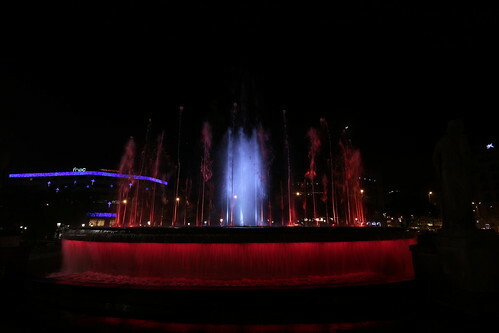 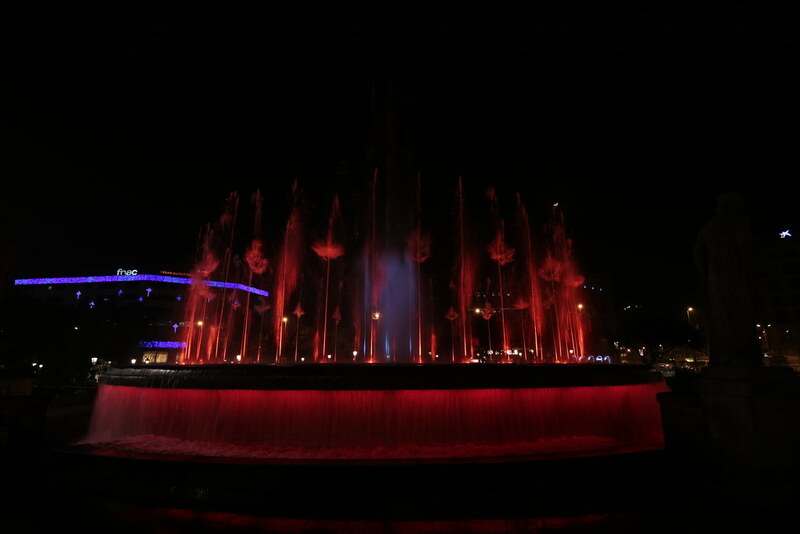 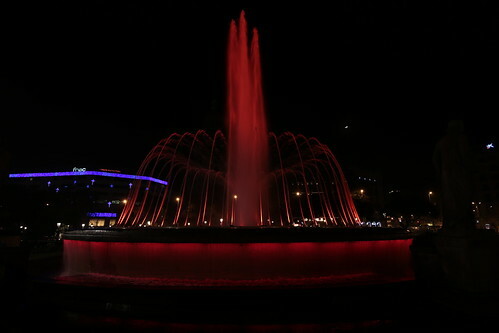 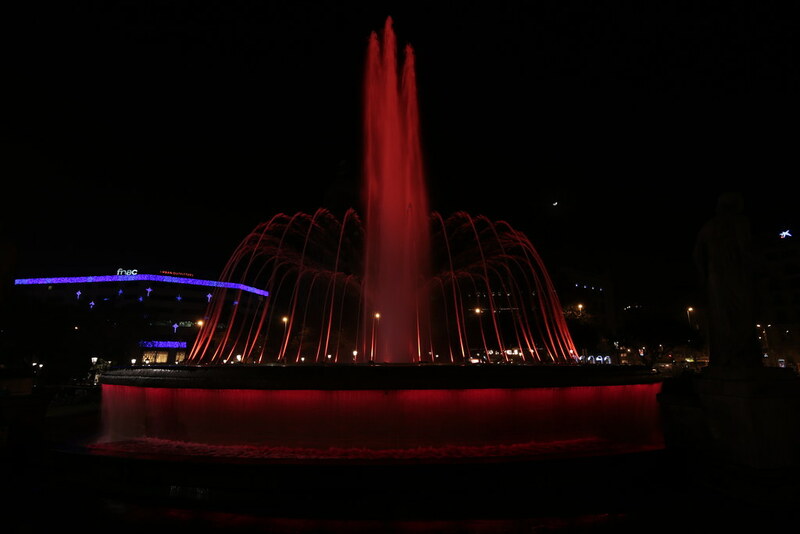 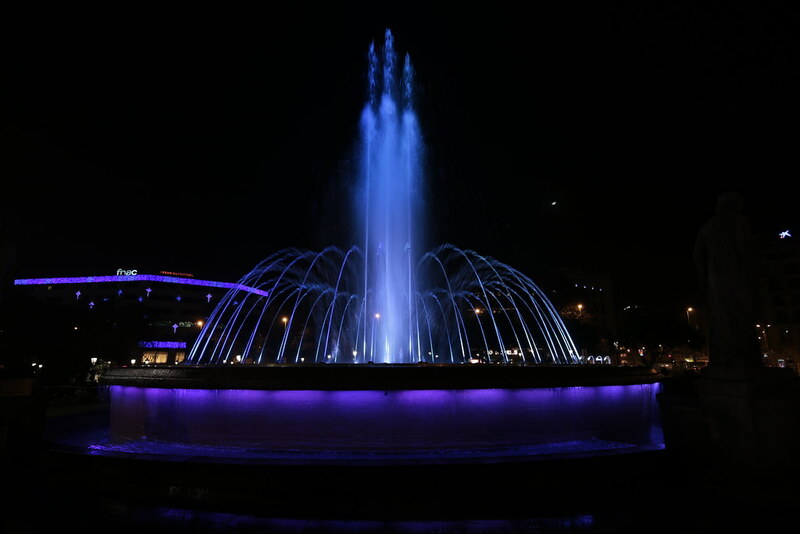 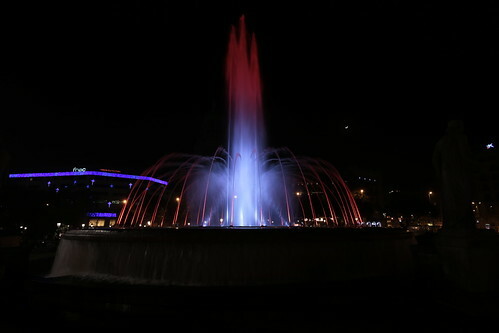 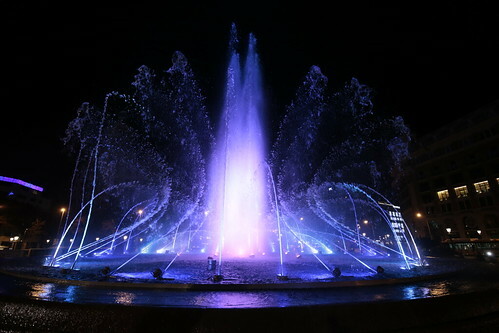 The project involved controlling a DMX water fountain, which was able to perform pressure changes on water pumps, movement of motors and RGB lighting for each water jet. 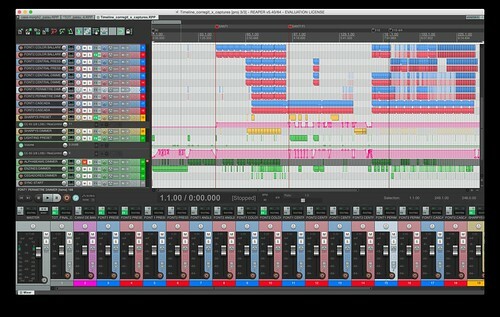 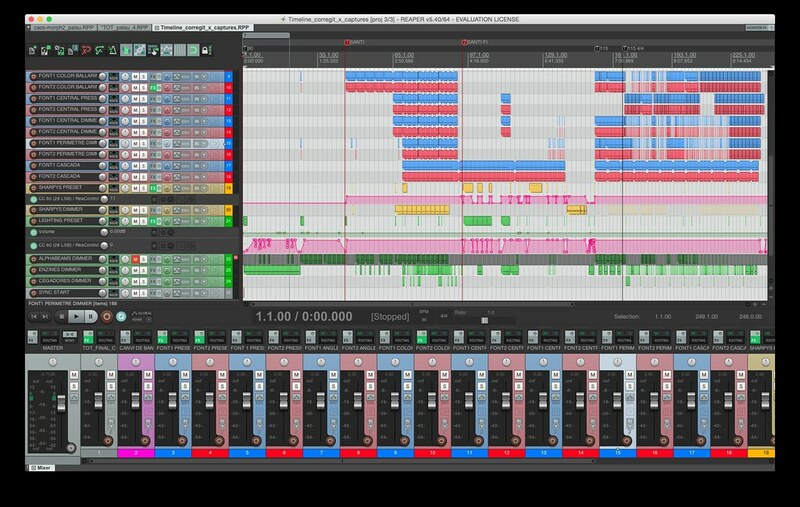 In order to create a show, we developed a specifical software tool based on low frequency oscillators which could be applied to the different control parameters. This development allowed us to create algorithmic water behaviors which could be saved as presets. The show leitmotiv is the idea of the winter solstice as a rebirth of nature. We created scenes which presented a contrast between coldness and warmth, death and life, stillnes and movement, to represent this idea. We composed an audio soundtrack which also represented this ideas, collaborating with Adrià Bauzó, a jazz flute and clarinet player.